After his previous documentary film Sharkwater, I was excited to see what documentary filmmaker Rob Stewart came up with next. His newest movie is titled Revolution and continues on where Sharkwater left off, expanding on the environmental threats and troubles facing the human race in the years to come. Not as focused as other environmental documentaries such as Gasland and The Cove, Revolution takes a step back and looks at humanity and how these environmental degradations threaten our own existence. Much of the film takes Robs home country of Canada to task about it’s poor environmental policies. With investigations into oil extraction from Tar Sands that would have world-wide impacts, to huge fish markets in Asia, the movie takes to the United Nations Framework Convention on Climate Change conference in Cancun, Mexico. This is a meeting of the parties to the Kyoto Protocol, including governments and industry as they discuss climate change. Plenty of voices are present, but not all of them are heard, especially in the closed door sessions from the worlds largest polluters. 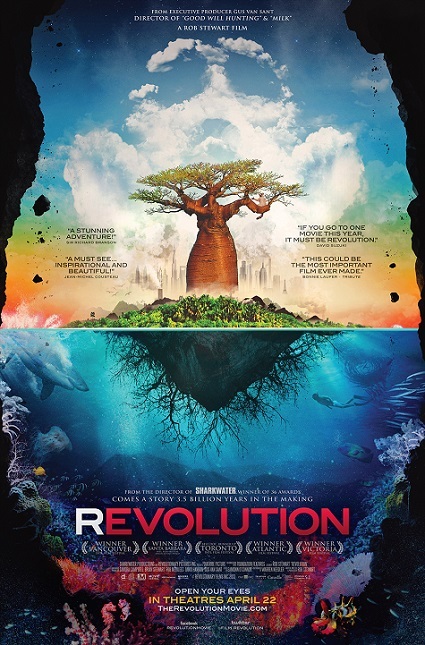 Focusing on the finer points of: Ocean Acidification, Deforestation, Overfishing, and Climate Change, Revolution turns the focus away from blame and changes the conversation to the future of mankind. I couldn’t agree more. Even given all of this destruction, pollution, and resource exhaustion, our planet will be fine. The earth will recover and go on without us- but make no mistake, it will soon be us that will be a part of this mass extinction that is taking place. We haven’t even begun to acknowledge that environmental collapse will make economic collapse a foregone conclusion. I just turned 38 years old, and I know I will see these destructive forces in my lifetime (we already are), but it is the children and future generations that will face the brunt of this inaction. Rob offers a solution and hope in the empowering of our youth, and it is inspiring. 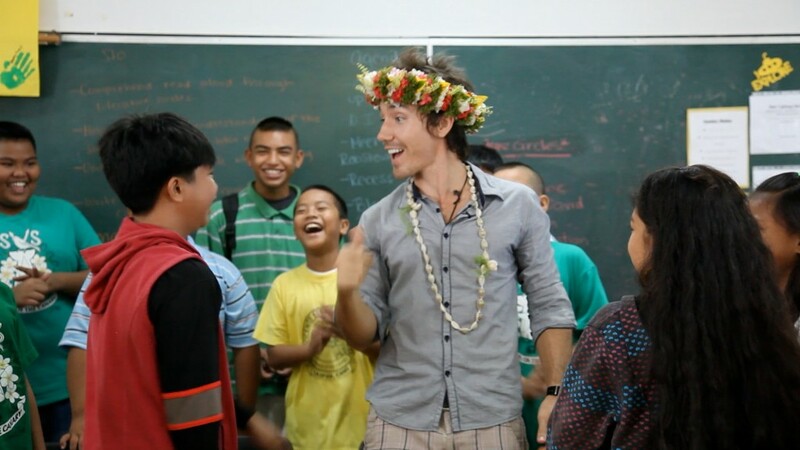 Highlighting the actions of one boy from Bavaria, a small class in Samoa, and the thoughtful ideas of many working together to counteract the destruction with positive movements across the world. Overall this film is filled with sharks, fish, protests, anger, ignorance, tragedy, hope, and inspiration, all with cuts of beautiful imagery and enlightening speakers. Mix in a bit of Rob caught in dire situations for dramatic effect (which is really unnecessary, but I see why he does it), and you have a perfect followup to Sharkwater that stands on it’s own. Nothing groundbreaking is covered, but rather a re-framing of the discussion with some silver linings. Filmed over four years in 15 countries, it has already been awarded to honors at 10 of the top film festivals.